State Rep. Dennis Bonnen appears to have secured the votes needed to become speaker. Now, the hardest political challenges begin. A year and three weeks after House Speaker Joe Straus said he wouldn’t seek another term in office, state Rep. Dennis Bonnen, R-Angleton, appears to have the votes to succeed him. If everything holds together until Jan. 8, Bonnen aced the first test: In races for speaker, as in races for president, running the political gauntlet is an essential qualification for the job. If you can’t handle the race, you aren’t ready for the job. Presidential races are an easy example, because we all get to watch them together. They are sometimes noble, more often nasty, and they are very hard on the people trying to get to the White House. It’s not necessarily true that the “best” candidate wins — whatever your version of best might be — but that the struggle that takes someone to a win is an essential part of the job ahead. Being president is also sometimes noble and more often nasty. The campaign, really, is just the finishing school. It culls the herd, and it prepares the winner. So it is with races for speaker of the Texas House. The field of announced candidates numbered seven a couple of weeks ago. Bonnen was widely considered to be an unofficial candidate. But when that idea wandered into a news column, Bonnen moved quickly to put out the fire, saying he wasn’t interested. But he turned out to be interested after all, didn’t he? 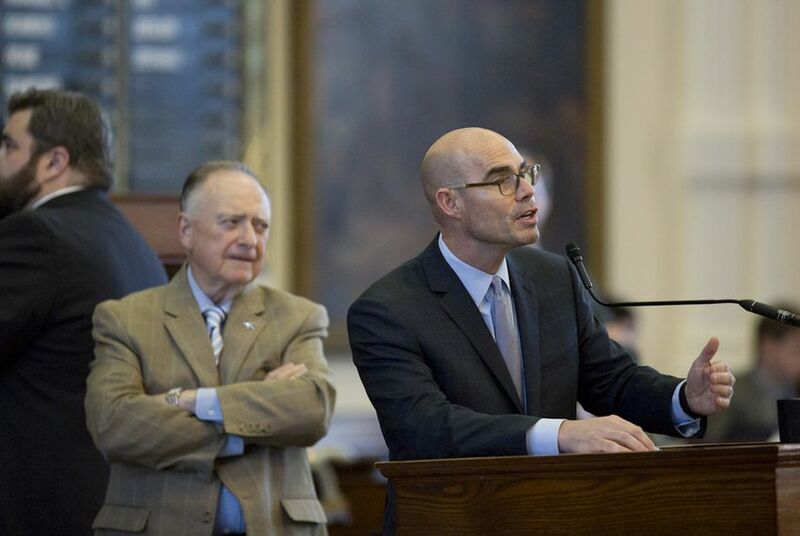 Bonnen jumped into the speaker’s race the week before Election Day, after meeting with about 40 Republicans who either changed his mind or confirmed his secret ambitions. State Rep. John Zerwas, R-Richmond, had been one of the early candidates to replace Joe Straus as speaker. He dropped out and started working on Bonnen’s behalf. Bonnen’s bid had the appearance of a 48-hour virus. Some of the Republican incumbents who lost on Nov. 6 were said to be in his camp — the kind of subtractions that can discombobulate a bid for a leadership post. But Bonnen was just getting started. On Sunday, two more of the official candidates — state Reps. Four Price of Amarillo and Phil King of Weatherford dropped out of the race and joined his team. He closed quickly, grabbing enough votes by Monday morning to call — and this is an important and significant part of any race for speaker of the Texas House — the news conference at which he announced he has 109 votes (more than the 76 needed), setting himself up to win the contest on the first day of the next legislative session in January. It sets up a leadership trio where the speaker, the governor and the lieutenant governor all have strong ties to the Houston area. Angleton is a Houston exurb. Greg Abbott was a lawyer and a judge in Houston before politics took him to Austin. Dan Patrick lives in Houston and made his name in radio there. Chances for a rural speaker or one from Dallas or San Antonio or Austin are pretty much gone. Bonnen’s ascent changes the leadership balance — mainly because he is a far less predictable political player than either the governor or the lieutenant governor. Where the current setup often pits conservatives Abbott and Patrick against a more mainstream Republican in Straus, the new trinity starts with two poles of certainty and an uncertain X factor in the new speaker. That will abate somewhat when Bonnen names his committee chairs and organizes the House, but it ought to keep the weekly breakfasts of state leaders very interesting for the first half of 2019. Bonnen’s fast claim on the top job merits another note about uncertainty: The 86th Legislature doesn’t start for two months — plenty of time for sour-heads and losers in this speaker’s race to upset his plans to move into the fancy corner office on the west end of the Texas Capitol. It’s not the other candidates for speaker he has to worry about; most of those folks came around and made Bonnen’s Monday announcement possible. It’s the members who were betting on other candidates and aren’t part of the group of early supporters who are first in line now that Bonnen is the apparent winner. Winning in a field like this requires great insider political skills, which is why the race is in itself a critical qualifying round: The hardest politics are still ahead.